On the 23rd of April, around 100 of Brisbane’s homeless were provided with a hot meal and a week’s worth of groceries in a unique partnership of local organisations helping those in need and at risk of social isolation in Brisbane. Queensland aged-care provider PresCare and Stockyard came together to support local charity Community Friends, which has been providing food, clothing, and accommodation to homeless and disadvantaged people in Brisbane for the past three years. Teams of volunteers manned the BBQ at the West End Community Park, cooking and serving up plenty of hot food. Community Friends founder Mark McDonnell says that last year the charity gave away around 50,000 meals , and hopes to increase that number in 2014. Stockyard not only gave their time, but also donated $2,000 towards a fundraising effort Community Friends has underway, raising money for a refrigerated van that will enable them to collect and transport the food donations they receive more efficiently. 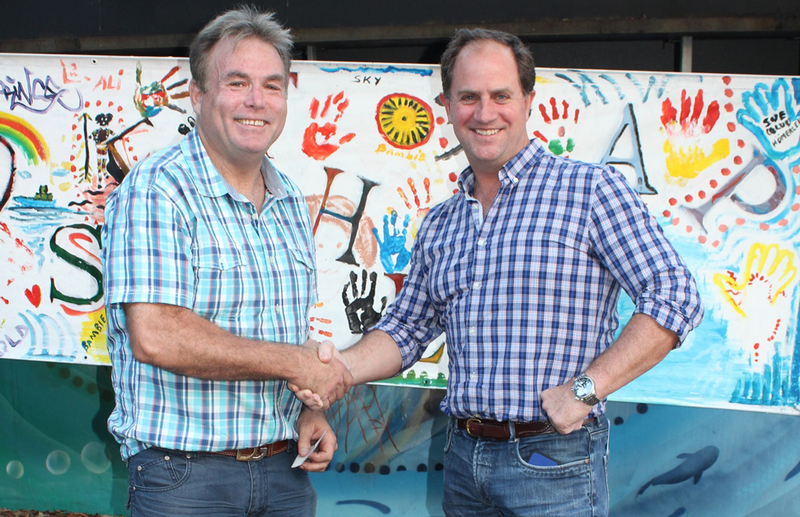 Stockyard CEO Lachie Hart says that he was pleased to be able to help Community Friends in such a practical way.